Films are also available in MOV and MP4 formats. Ernest Craig was the head of Falconbridge Nickel Mines Limited Department of Health Education and supervised Archie Cameron who recorded the films. 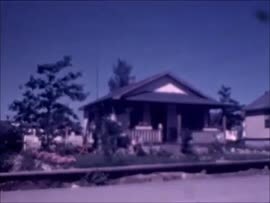 These films were originally watched during public showings in the late 1930's and early 1940's in the back yard of Ernest Craig's residence in Falconbridge, Ontario. To learn more about Ernest Craig, visit https://www.archeion.ca/craig-ernest. To learn more about Archibald Cameron, visit https://www.archeion.ca/cameron-archie.